The benefits of the hydraulic lift systems include smooth lifting motion and elimination of all moving hoses, cables and chains required for the mechanical configurations. Fewer components eases installation, reduces maintenance and prolongs service life. 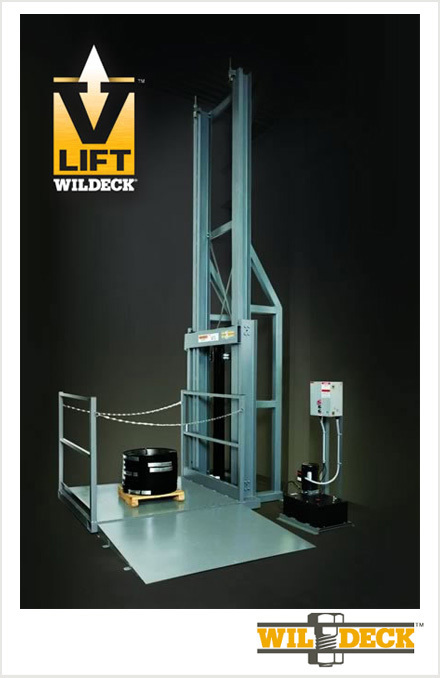 All these benefits can be found with the Wildeck V-Lift. Lift capacity up to 3,000 lbs.